Two of Nicole Kraft’s iTunes U courses were recently featured by Apple. 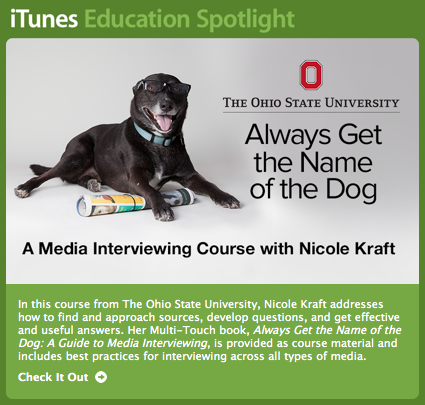 Kraft’s iTunes U course and iBook Always Get the Name of the Dog were featured in Apple’s Education Spotlight newsletter. 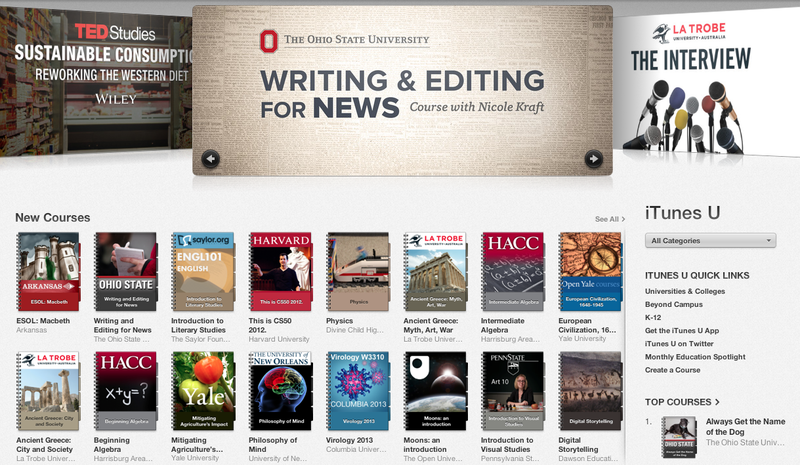 Kraft’s iTunes U course Writing and Editing for News is currently featured on the iTunes U storefront. 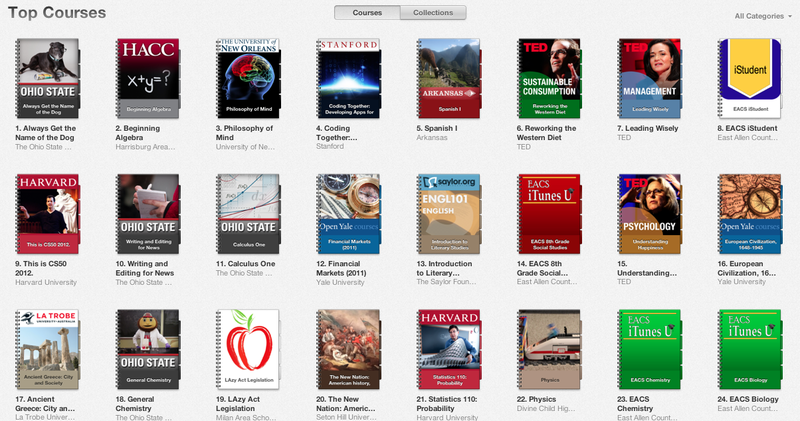 In addition, both courses are currently in the Top 10 on iTunes U and Always Get the Name of the Dog is #1! Kraft’s grant project is already having a HUGE Impact! Posted by Cory Tressler at 2:30pm September 25, 2013 Bookmark the permalink. Really happy to see her course and book featured. Can’t wait to see how the rest of her project unfolds.